I hope you are watching and enjoying it too. If you are not, please do yourself a favor and check it out. This is not a travelogue. This is not a Rick Steves guidebook on the national parks. Like all of his documentaries, Burns is interested in exploring American history and values—and he does it engagingly through richly textured stories of famous and ordinary people. 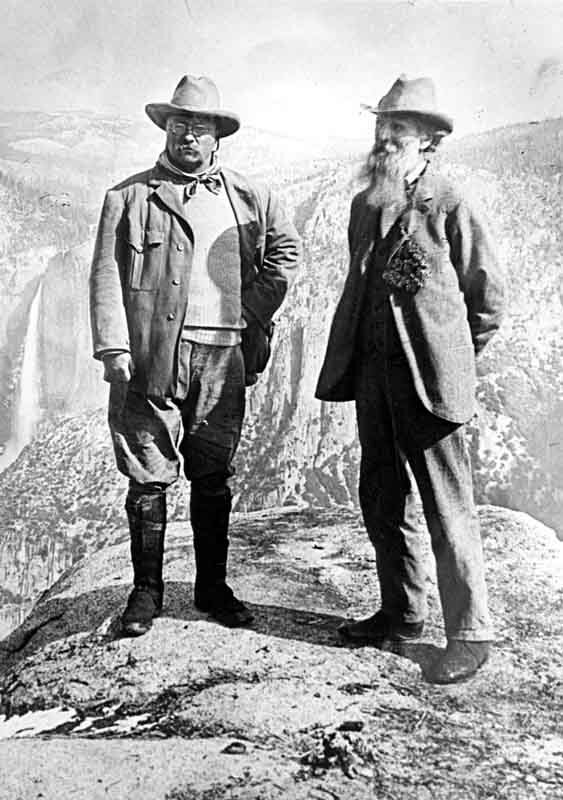 We learn about the important influence of John Muir, Teddy Roosevelt, and John D. Rockefeller, Jr. We also learn about the parks and their impact through Margaret and Edward Gurkey, an ordinary couple from Nebraska who in 1913 started driving every summer for the rest of their lives to visit the national parks. Their story is told through Edward’s wonderful photographs and Margaret’s beautifully written journal. We learn about the tension between opening up the parks to large numbers of people, and their cars, and preserving them as much as possible in their original, natural condition. Burns sees the national parks as flowing directly from Jeffersonian ideals about democracy—the country belongs to the people. All of the people. The land for the original parks was privately owned and given to the federal government by wealthy donors, but they were not reserved for the wealthy. Burns was on a television show yesterday morning talking about the series, and toward the end of the short segment he talks about the role of government in America. He said that someone recently told him that the national parks were the only good thing the federal government had ever done. Burns disagrees strongly, and he proceeds to rattle off a long list of great things done by the federal government. He is a wonderful optimist, a believer in government as a positive force, and a national treasure in his own right. Love the series too and can’t pull myself away either. As much as I want to tire of Burns’ recycled formula/style, I can’t yet. He’s gotten me to keep watching. I’ve not been viewing the series with the same lenses you have, so thanks for your insights and post. Could not agree with your comments more. I have watched the Gurkey episode twice and both times moved to tears over the beautiful words of this lovely lady from Lincoln, Nebraska. My grandparents were from Nebraska and took me to Yellowstone National Park, so I felt a keen connection to the Gurkeys. I cannot stop watching Ken Burns’ National Parks. What a joy this program is! It should be shown in every classroom in America as a template for the highest form of American citizenship.